You know what I’ve come to realize that I like better than old fashioned plain mayo? Mayo with lots of other stuff added to it. There’s a fine line between a mayonnaise and an aioli. Essentially an aioli just has mashed garlic infused into the emulsion. But these days, it’s all mixed up and in my mind it’s interchangeable. Potato, po-tah-to. But the fact that you can take a regular mayonnaise and turn it into any other sauce imaginable really is amazeballs. Yeah, I just used the word amazeballs. And I’m over 30. Ok fine, fine, so I’m half a decade over 30. It’s just so delicious that I had to go there. 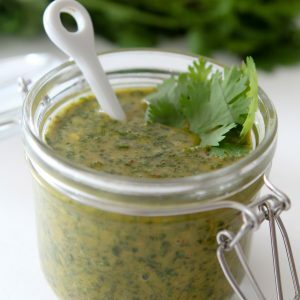 Since one of my most favorite tastes, flavors, THINGS is pesto, it became natural that I’d add it into my mayo at some point. It’s really easy too. 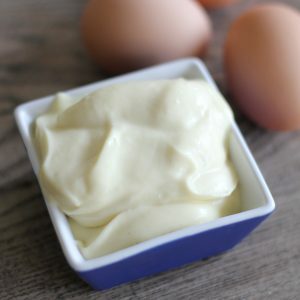 Simply follow my directions for Homemade Mayo and add in the rest of the ingredients. This can be made in less than 5 minutes. There are so many things you can do with it once you’ve made it. 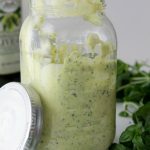 A creamy basil dressing, veggies or chip dip, sandwich or wrap spread or even a marinade. Yep, you can give that a try. Be sure to check out my Sweet Potato “Chips + Dip” post because the pesto mayo just may be the star. Believe it or not, it’s actually my most pinned recipe. 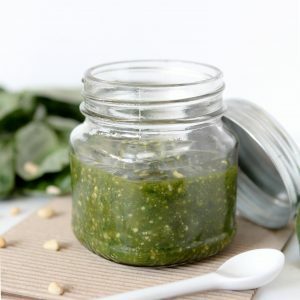 And if you’re loving some plain old pesto, check out my Perfect Paleo Pesto recipe. I found the perfect secret ingredients to swap in in lieu of cheese. So enjoy this and get ‘yo mayo on! 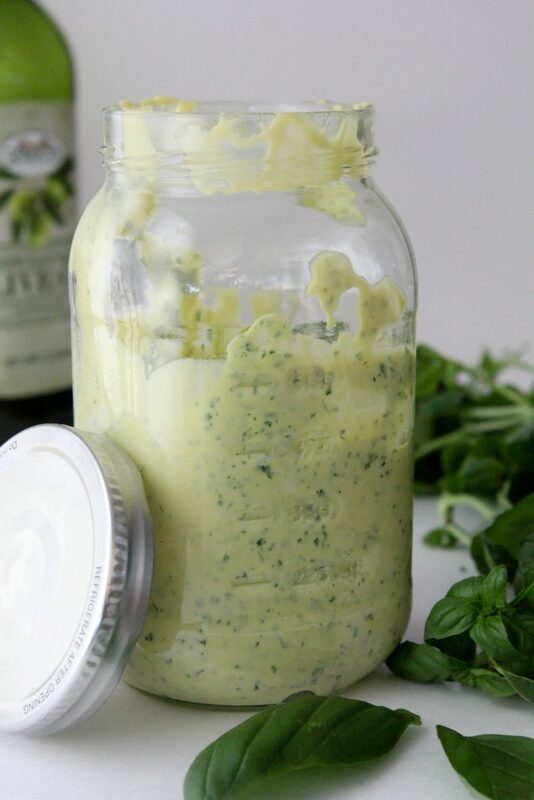 An easy way to make a pesto mayonnaise in less than 60 seconds. Hi, how is mayonnaise paleo?